Last Updated: 24.01.2019 By Adrian B. 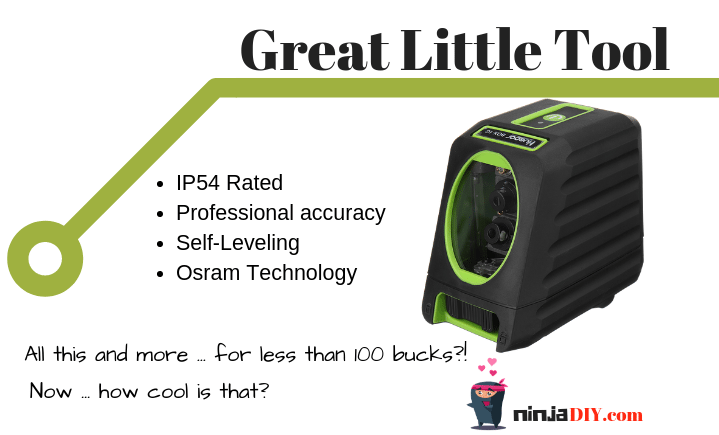 Today ninjas, I want to bring you a bit more information about these “new” awesome laser levels … and I’m talking about the green laser levels. Of course, they’re not new for most of us, construction professionals, but some friends (DIY enthusiasts) have asked me about them. Some of my friends didn’t even know that laser levels have different colors 🙂 … but that’s normal. They are not into construction gadgets and tools like we are and they don’t have a reason to stay up to date with construction tools as we do. 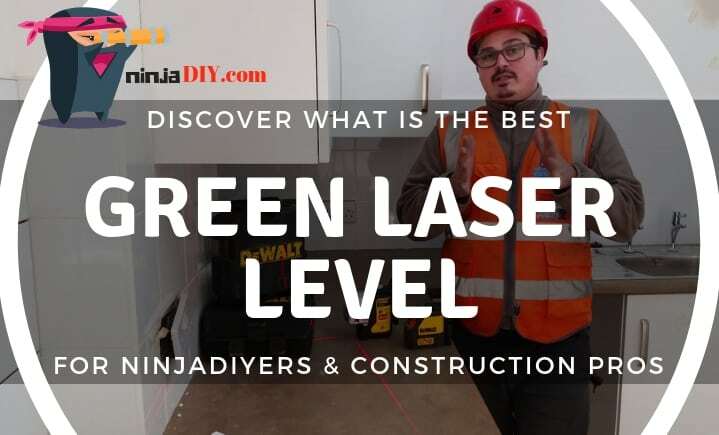 This article is for pros and DIYers as well, and I want to share with you ninjas what’s my choice when it comes to best green beam laser levels for our projects. A FANTASTIC laser level for TOP professionals like yourself. It has some crazy looking features that you’ll love. A game changer on this latest DeWalt laser level it’s the battery. 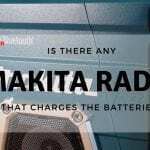 SAVE MONEY, you don’t need to buy batteries anymore, thanks to the 12V battery. It can last up to two days without charging it!!! 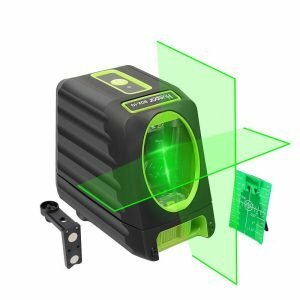 1 Why Should You Choose A Green Laser Level? 8 Conclusion: What’s The Best Laser Level That Projects Green Laser Beams/Points? 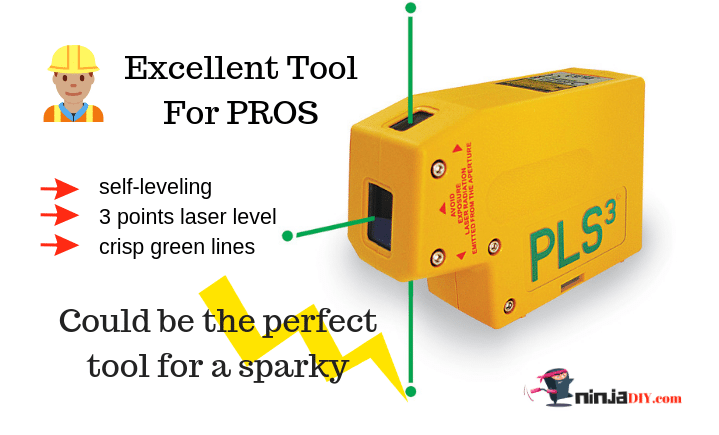 Why Should You Choose A Green Laser Level? So, the main reason to choose a green laser level vs a red laser level … is because you will be able to see the green laser beam much easier than the traditional red laser beam. * They say (the experts) that the green color of a laser beam is twice as visible to the human eye than the red laser beam. 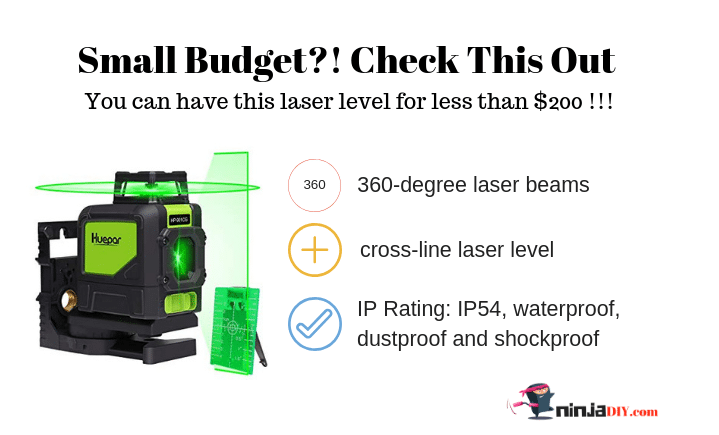 If you are a PRO and you need accurate measurements (of course you do 🙂 ) … well, that is enough reason I would say for you to go for a green laser level instead of a laser level that projects red lines. … having the best tools at hand, it will make your job easier, enjoyable, MORE ACCURATE! …there are a few different types of laser levels. I won’t bore you with so much data, but if you really want to know more, you can read my epic laser level buyer’s guide. ☛ If you are wondering what’s the difference between red & green laser levels … check out my Red Laser Level VS Green Laser Level article! As you can see, having so many different tools it will be a bit difficult to actually recommend ONLY ONE as being THE BEST! Each one of these has their own uses. 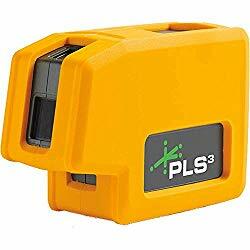 And sometimes you won’t be able to use, for example, the cross-line laser level for establishing a slope … you’ll need a 360 rotary laser level, and so on. I have my own favorite tough, which is a DeWalt green laser level. I have a red one as well the DW089K 3 line laser level (which is amazing, one of the best tools to have in your toolbox). You simply can’t have everything! So here, I’ll recommend you the best laser tool in its own category…this way you have less research to do if you are looking to buy a laser level in the future. Perfect … let’s get into it then! or maybe two or more points at 90 degrees between a wall, the floor, and the ceiling. And other dot laser levels are self-leveling – which I very much prefer! Let’s continue by talking a little bit about each one of these point laser levels. Here’s a mini review. Excellent laser from PLS (Pacific Laser Systems) … it’s easy to use, great visibility of the laser beam. It’s a perfect tool for laying out tiles, electrical works, steel erections and plumbing as well. It’s accurate, and it’s been created for construction professionals … it’s a brand that many people trust. ☛ It has over 100 reviews on Amazon, good and bad, pro and con … see what people are saying about this tool. Although this is my choice for home DIYers, I know people who bought this laser level to work on constructions sites. Consume the batteries quite fast. You can use this laser level type for many indoors tasks. Some of these tasks are as simple as hanging a new lamp on the living room’s ceiling and others a bit more complicated like installing downlights on a new property or on your own DIY project. Another cool thing about the dot/point laser levels is that the majority of these devices they can project lines as well. You could have a laser level that projects dots and lines! * Honestly, I’m not a fan of these type of laser levels as the applications for it are very limited. They can be pricey for the amount of work you do with them. But if you really need one for your jobs (maybe this is a perfect tool for a plumber or a sparky) … then go ahead and check out one of the above! Next up: we are going to check out a few green line laser levels. I will start this section by saying that I don’t want you to lose your time and energy by thinking too much about this. If you really need a laser device, at any level, construction pro or home improvement DIYer … just go for a cross-line laser level. There are simply waaaaaaaay too many options out there. So, if you can, forget other line laser levels and go with a cross-beam laser device. By doing so, you will be covered. Anyway … here’s what I believe to be two of the best green beam laser devices with a cross-line feature. Now … working in construction, being around so many professionals, so many different trades and specialists … I have to say, that most of this guys have AT LEAST ONE CROSS-LINE LESER LEVEL in their toolboxes. 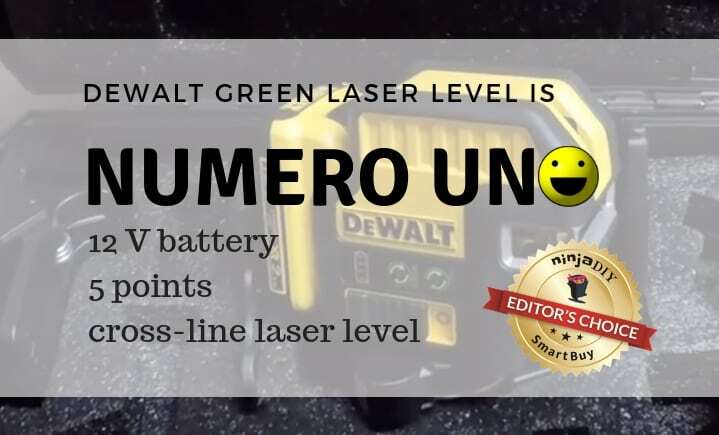 That is the reason why in the first lines of this article, I said that my preferred laser level is the DeWalt DW088LG green laser level. Let’s just have a few words about each one of these laser leveling tools. Up until now, I was amazed by using the ol’ DW089K (red beam laser level) … what an awesome tool to have. It really is an amazing tool. 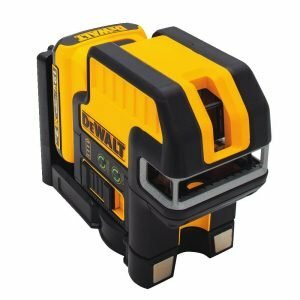 One of the amazing features that DeWalt brings into the new green laser levels is … the 12v battery. 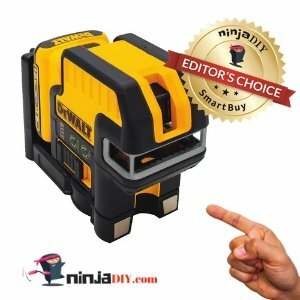 Not only it will save you some money on batteries, but you can use this battery with other 12v tools that you might have from Dewalt. You can use the laser level for one full day or even two full days before you need to recharge the battery. This laser level it’s a compact unit. It’s good quality for the money. It won’t be as accurate as other established brands … but it will do the job just fine. ☛ There are about 50 reviews on Amazon about this tool. Curious to know what other people think about it? Find out here! 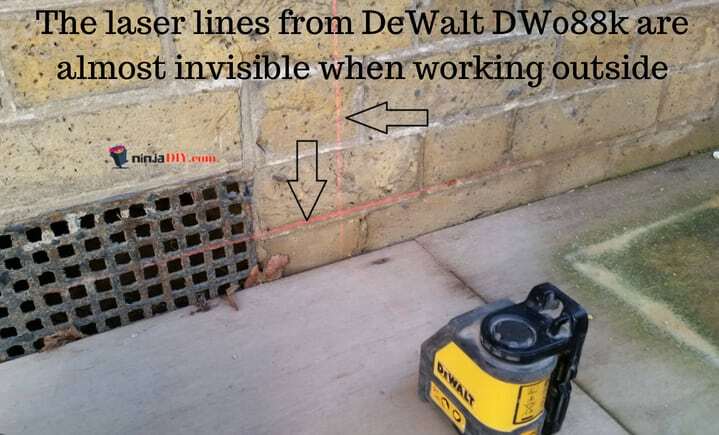 Having used the DeWalt DW088K and the DeWalt DW089K (both are amazing tools) … I know what I’m talking about when I recommend you to stick to a cross-line laser level. By the way … PLEASE let me know in the comments below … what do you think? What do you use for your projects? (DIY or professional wise). Alright … I believe this will cover it for the line laser level section. Let’s move on and talk about the rotary laser levels. These ones you mostly see outdoors, used by engineers and ground workers. Yep … for DIYers and some pros as well who never used a laser level before (any type) … it could be intimidating to go ahead and spend hundreds and maybe thousands on a rotary laser level. Here’s what I believe to be some of the best green rotary laser levels on today’s market. 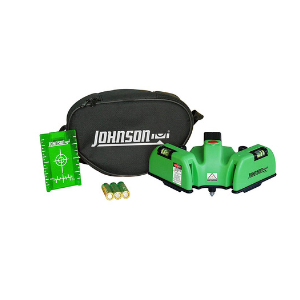 These rotary laser leveling devices can be used for very precise jobs and perform best outdoors. … is because the laser used in a rotary level device is stronger. The rotary levels are classed as Class 3R and have an output power of <5mW. (much more than a normal laser level). Learn more about laser level classes and classifications here. …is because those laser levels have been built for indoor applications, MOSTLY. Sure, you can use a dot or line laser level outside, but don’t be disappointed when you won’t be able to see the line of your laser level outside on a sunny day. Check out my DeWalt DW088K red laser beams … just a few inches off the wall. Get a rotary laser level for best results when working outdoors. Anyway, let me share a bit more info about those two 360 lasers from my list. DeWalt has done an amazing job in showing customers how great this tool is and how though and robust it might be. It really looks like a “rough terrain truck” of the laser levels :). 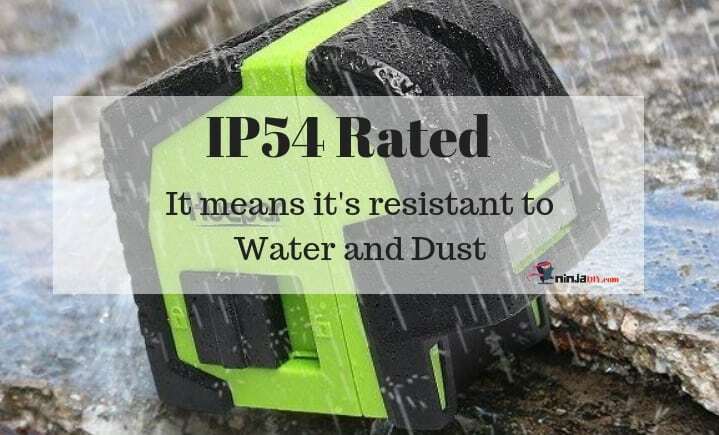 It’s been rated IP67 and tested against falls from 2 meters high. The DeWalt mentioned above is one of the most expensive green rotary laser levels that I’ve seen. I have never seen an engineer using any other brand … except for Leica. 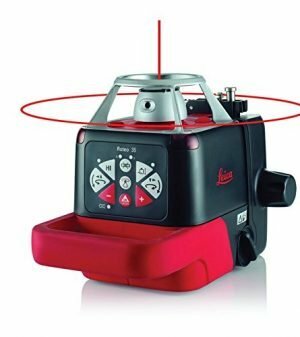 This particular model from Leica has fully automatic horizontal and vertical laser beams. I love the motorized wall mount. This allows you to adjust the laser device from the distance by using the remote control. Need horizontal and vertical lines or an exact 90° angle? No worries, this 360 Leica level can do that without any problems. If you never used a rotary laser level before and you end up buying this device … you would have no idea how to use it. Because of the price tag on this type of laser levels, unfortunately, it is not very often used by a DIYer. … and many more tasks of this kind. 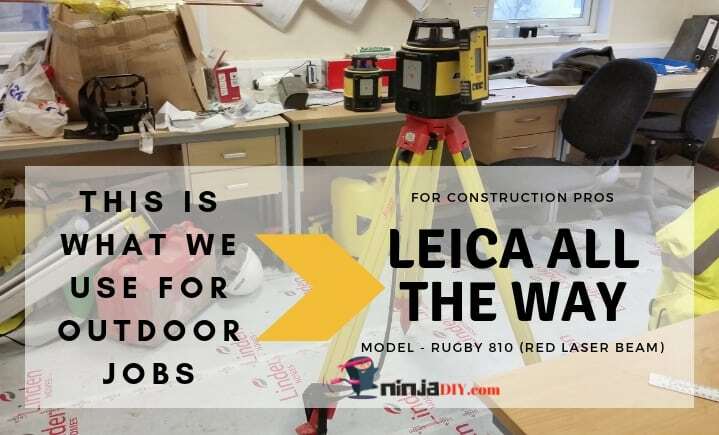 Now … if you are a ninja DIYer, I don’t want you to go back empty-handed from this section and here’s what I recommend you to use as a 360 rotary laser level for home uses or small DIY projects. 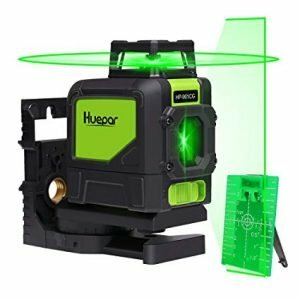 Check out the Huepar Self-Leveling Green Laser Level 360 Cross Line. And now, let me tell you about the last type of laser level on my list: the square laser levels. This one, again, it’s a very basic laser level, just like the dot one. You can’t really use it as a primary tool … but it’s great to have it in your toolbag. It could come handy if you are a tiler. You can layout tiles without all the endless measuring and laying chalk lines and all that. … but it might make a lot of sense for a guy who does a lot like kitchen fitting or a tiler maybe. 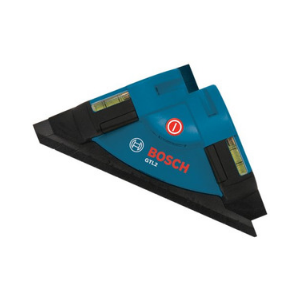 ☛ If you are laying tiles … check out my article on what’s the best laser level for a tiler. Luckily here, the manufacturers are thinking about those brave homeowners who like to do DIY and improve their homes by doing little (or big) home improvement hacks. … you can do that and much more with a green laser level! So here are two options that I love and seems that a lot of owners are quite happy with them as well. Just click on the > Read The Good & The Bad On Amazon > text underneath the pictures to read their opinions: Good Or Bad! Any decorator should have one of these tools. This laser level brand is becoming quickly a favorite in the DIY world. The reason is obvious: They deliver decent laser levels at decent prices! If you end up buying this little laser level from Amazon … it comes as a kit. 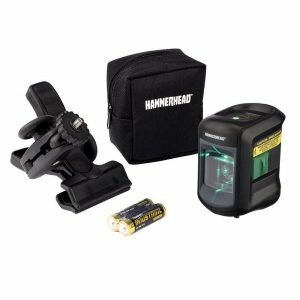 You’ll have an easy-to-adjust magnetic base, target plate card, and a carry pouch. ☛ If you want to see what other people are saying about this on Amazon … click here, over 30 owner reviews. Good & Bad! And to finish this long list of green laser levels … I have another great little tool that is most loved for home users. The Huepar model from above has a very nice rubber protection on the outside … which means you could actually take it with you on a construction site if you are a professional. On the other hand, our Hammerhead HLCLG01 … has no protection at all. It’s all made from plastic which makes it very fragile and there is a danger of breaking the unit easily if you drop it. Honestly, if you are a DIYer … you don’t have to spend hundreds of dollars on a laser level. As you can see, you have some options for less than 100 dollars, and the quality if those laser devices is decent! ☛ If you want more options, check my article on the best laser level for a homeowner, there is a mix of red & green laser levels. Conclusion: What’s The Best Laser Level That Projects Green Laser Beams/Points? Alright, ninjas, I hope this article was a good read and that you’ve learned something new today. The long answer to the question … you’ll have to take the decision based on the applications you are going to use the laser level for. If you are a pro, you know this already. Some guys and girls have two or more laser devices to make sure they are covered when it comes to doing their jobs. So go through each section of this article and see which one do you think will suit you best. … if you need some help with which one to buy. Drop me a comment or get in touch. I’ll be more than happy to give you a hand. What an amazing post Adrian. Thanks a lot for this, I was really wondering what’s so special about these green laser levels. I am not a professional, but I’ve been doing home improvement all my life, I love DIYing (puts me in a good mood) and used few red line laser levels (Bosch, Craftsmen, Ryobi) … but soon I’ll need a new one and I really liked the ones you have mentioned in this post. It’s a shame that DeWalt are far from my reach. Thanks again for the awesome info. Thanks for leaving a comment Will. 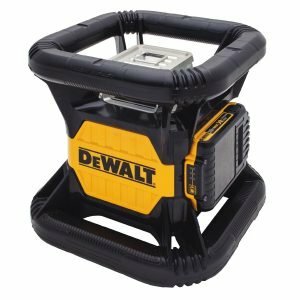 I agree with you when you say that DeWalt tools are not very affordable for DIYers, they obviously build for contractors and builders. 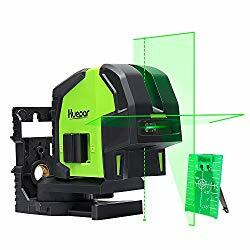 To be honest, these guys at Huepar it looks that they are pleasing many DIYers (and some PROS) with their laser levels quality…so if you are looking for a new laser level (with green beams) … have a look at the Huepar brand. You could always go for a red line laser as well. You have much more choices at lower prices. Let me know if you need more info or anything!